GameFreak is back and giving Sun and Moon the Ultra treatment, but is it worth a second bite for returning fans? Last November, in our 9/10 review of Pokémon Sun and Moon, we shared how the pair of titles helped to reignite our love for the two-decade-old franchise, with a stunning Hawaiian-inspired setting and all-new innovations; such as Alolan forms and island trials. One year later and with the tearful announcement that there will be no further Pokémon titles on the 3DS, we have two enhanced versions: Ultra Sun and Ultra Moon. The two releases have been teased as a culmination of the series; bringing back all past legendries and villainess groups, whilst also improving aspects of the seventh generation. The titles are undoubtedly the best option for those who missed out last year, but is there is enough here to tempt returning fans back to the tropical shores of Alola? We should perhaps stress first that those seeking a brand-new experience from Ultra Sun and Ultra Moon will likely be disappointed. Like Yellow, Crystal and Emerald that came before; the titles follow the same core path of their processors and you'll find yourself undertaking the same trials, battling the same trainers, and scrolling through much of the same dialogue as before. But even though these aspects remain largely the same, GameFreak has looked out for returning fans and has added a touch of variation. 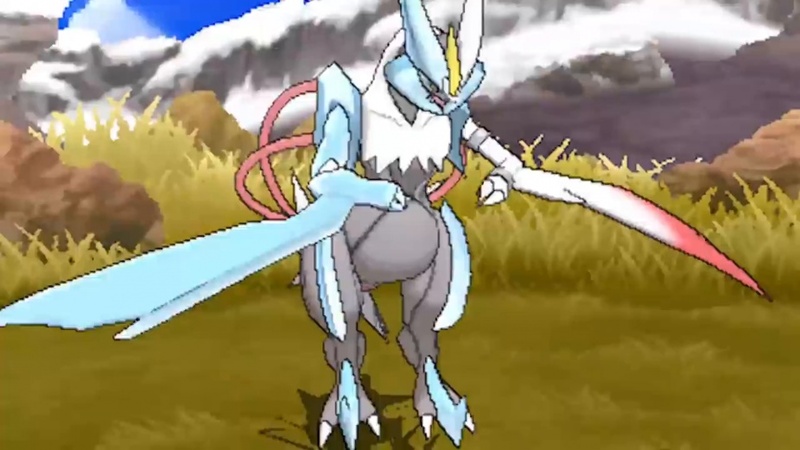 Many of the trials have been remixed with different totem Pokémon, there are all-new Z-moves for you to try out in battle, and the total of possible catchable pokémon has been raised to around 400. The headline feature within the trailers leading up to release was the new and improved storyline, which saw a more formidable threat and the return of some familiar faces. Legendary pokémon Necrozma is the star of the show this time, threatening to rid the world of light and taking hold of both poster boys, Lunula and Solgaleo. All previous villains from past generations also return headed by team rocket leader Giovani in a supergroup known as Rainbow Rocket. While we don't want to spoil too much, we found ourselves much more engaged in the narrative this time around and the many call-backs to previous entries resulted in a nostalgia trip from start to finish. As previously mentioned, Ultra Sun and Moon boast a roster of over 400 Pokémon spanning from Gen 1 favourites to all-new creatures and Alola forms. The new games also go a step beyond sister titles that have come before them and introduce new ultra beasts and pokémon forms. The new ultra beasts include the adorable UB Adhesive, the clown-like UB Burst, and UB Assembly, which kind of resembles a pile of bricks. The new Rockruff form stands out as a cool blend of both its midnight and midday forms, but sadly it's only available during a limited timeframe around launch (pretty frustrating if you plan to arrive late to the party). That being said, you'll have even more opportunities to build your perfect team here, even if there is also a disappointing lack of new Alolan forms present. Scattered across the various towns and cities of Alola are totem stickers, which can be collected in exchange for your own totem-sized pokémon. These stickers can be found just about anywhere; from the fronts of stranger's fridges to the middle of fountains, and push you to explore every inch of the tropical region. Some even require you to backtrack as you'll require a fishing rod, for example, to grab a sticker from a fountain. While the treasure hunting aspect is fun, it's the reward that we are mostly disappointed with. Many of the totem-pokémon can be caught in their original versions and we wish GameFreak would have just given us the option to catch our own totem pokémon. There's also the Pokémon Battle Agency where you can rent any pokémon that you wish for battle, really letting you experience what it's like to fight with creatures you've yet to capture. Other features include the Pokémon Photoclub and a new surfing mini-game on the back of a Mantine. Within the Photoclub you can pose alongside your pokémon and take pictures, which you can share and later edit with stickers to raise their overall affection. It's a nice distraction, but it's quick to lose steam. The Mantine mini-game itself is relatively basic; you'll move up and down waves to pick up speed and by pushing the analog stick you can perform tricks in mid-air to rack up points. Once you've finished, you'll receive a score for your performance and you can then trade your accumulated points in for items. Again, this mini-game did prove fun for a short period, but once we could fly on the back of a Charizard to go wherever we wanted on the second island, it was a feature that we quickly abandoned. Perhaps the coolest new addition is that you can now catch all legendary pokémon (that's if you own both versions of the game). These are found through ultraworm holes and each one looks distinctly different based on the legendary pokémon which occupies them. There have also been new additions added to your Rotomdex, which is the talking pokémon-occupied Pokedex that assists you on your journey. A new feature is the Rottolottery which you'll be able to spin to earn new exclusive items that can help temporarily increase your XP and raise your pokémon's stats. Your Rotomdex will also ask you questions during your adventure and it'll behave differently based on these responses. The annoying thing, however, is that the screen that displays your map is completely covered during these actions, making navigation tricky. While it was believed that the previous titles had pushed the 3DS's hardware to its limits, Ultra Sun and Moon appear to take things one step further, adding better shadowing, improved textures, and more detailed environments. Everything in the title just feels much more polished, especially how the environments are bursting with blossoming flowers and your character is much more responsive in their reactions to key story events. It may not be massively noticeable unless comparing the two side-by-side, but it's great how the studio has worked to improve things not only mechanically, but also visually. With Ultra Sun and Ultra Moon, GameFreak has succeeded in making an already standout duo of games even better, with an improved storyline, new mechanics, and plenty of call-backs to the series' past. If you've played the originals it's not an essential upgrade, but those who've yet to play Sun and Moon are advised to check it now. 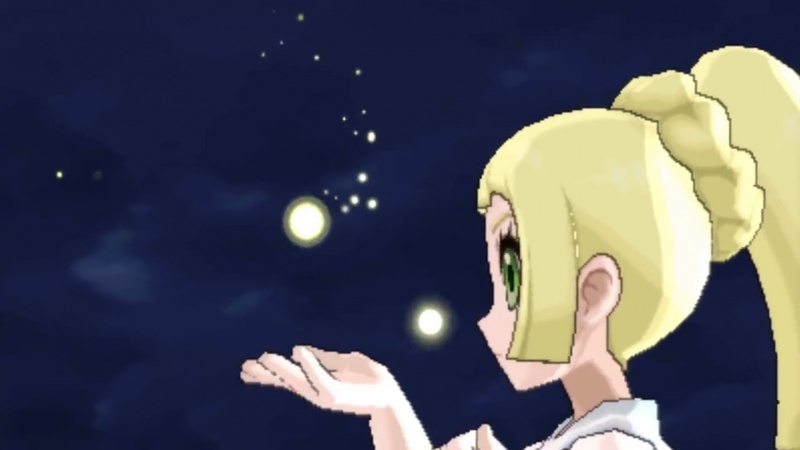 Some of the features including the Photoclub and the new mini-games do feel like padding and much of the core story is still present from the previous titles, but we'd argue that Ultra Sun and Moon are two of the most improved sister titles the series has seen to date. The Pokémon franchise may have ended on the 3DS, but we're pleased that Ultra Sun and Ultra Moon have delivered the swansong it ultimately deserves. The story is much more engaging this time around, there's plenty of call-backs for long-time fans, and the title's proceed to push the 3DS even further. Photoclub and Matinee surf features feel like mere padding, and there's no new Alolan forms.